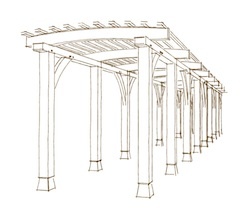 The Pergola is being constructed by Tim Crowley. The drawing is shown on the left. Click on the drawing for a more detailed view. Work on the foundations started in late September - you can see photos of that work here. 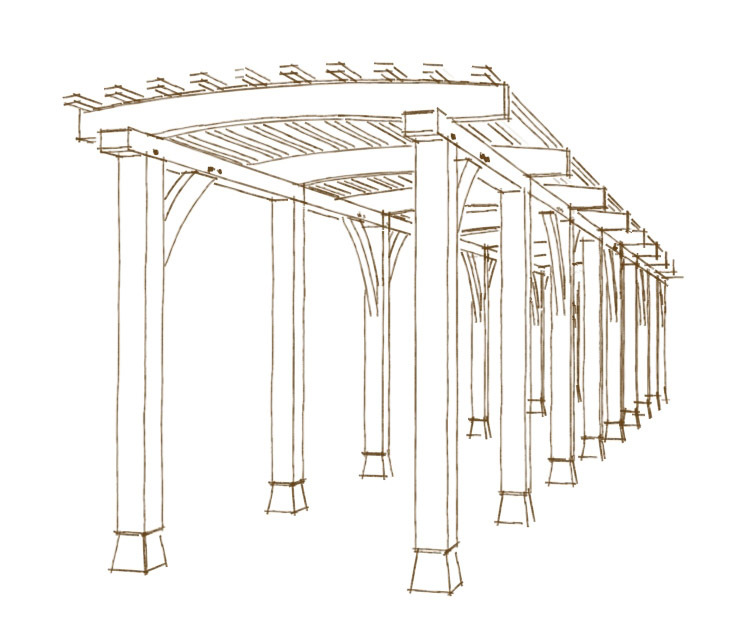 On Friday October 8th, work started on erecting the pergola. You can see photos of that here.